Coffee is one of the Most Popular Morning Beverage! 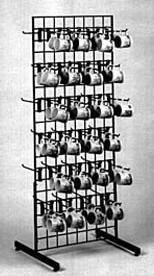 Show off your ceramic or plastic mugs in your retail store on one of our durable and attractive wire Grid Mug Racks. This grid rack can hold up to 144 standard size mugs, comes with one two-foot by five-foot panel, two full sized leg base and includes 48 - 10" peg hooks. Our floor fixture is an excellent addition to your coffee shop or bakery displays. Gift shops and candy stores will also benefit from a supply of coffee and tea mugs. 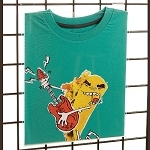 Customers are always looking for a souvenir to take home or give to a friend. Create a gourmet gift center in your retail store or cafe. 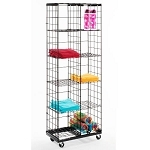 This rack is available in white, black, or chrome. If chrome is your choice, please remember it costs a little more. 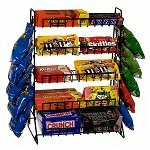 Add a mug display rack to your cart today and purchase now.